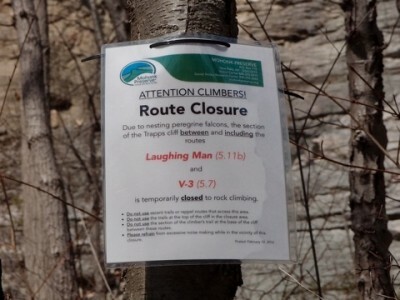 A list of the four climbing closures in the Mohonk Preserve in 2018, due to nesting peregrine falcons. 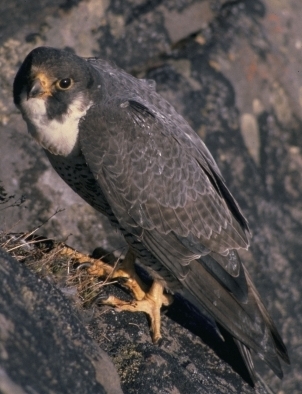 There is a temporary rock climbing closure of the section of Bonticou Crag known as The Sunbowl due to nesting peregrine falcons, effective February 23, 2018. 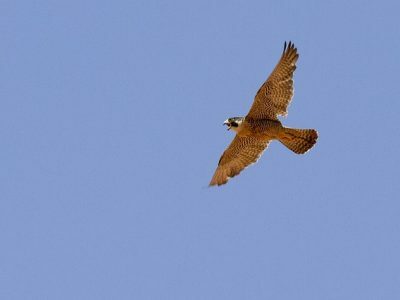 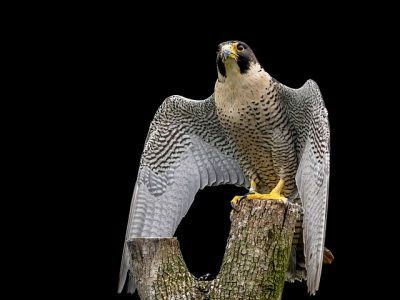 Matt Logan of the GCC talks to the Mohonk Preserve about the extensive Gunks cliff closure for Peregrine Falcons and learns some Peregrine Falcon facts. 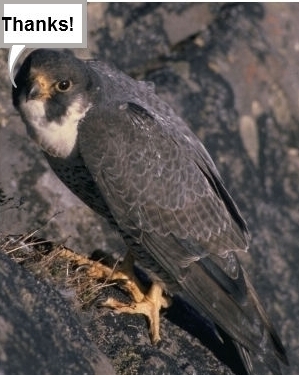 Due to nesting peregrine falcons, there is a temporary closure of part of the Trapps cliff to rock climbing starting February 2016.